Not using G+ yet? You should be, and here’s why. As you know, Google is the go-to search engine. Not only are your G+ posts searchable on Google, but now, hashtags are searchable as well. With hashtags and regular content searchable, that gives you two distinct ways to be found. I tested a search for the hashtag #socialmedia. As you can see, the hashtag search gets top billing among social posts. There’s a little place where you can search the hashtag on Facebook and on Twitter, but the expensive real estate goes to G+, naturally. If you aren’t on Google Plus yet, now is a good opportunity to create a business account. I listed some of the best practices and tips for increased engagement in the following articles. Read those as a primer. Duh, this is really a no-brainer, right? But beyond just throwing a hashtag in here and there, make it something you do for every post. Now that you’ve agreed to use hashtags often, if not every single time you post, commit to being strategic about them. The hashtags you use are going to be the key to getting you found. You want them to be relevant, but also popular. You can take a look at G+, see what’s trending, and try to incorporate one of those hashtags. You can use hashtags that are very specific to what you’re talking about, and you can use hashtags about general ideas you’re discussing in your posts. Google+ also intuitively adds hashtags to your post. Learn more about that here. Google+ is great for conversations and community building, but don’t forget your best asset is the one you own. That, in most cases, is your own website. Use the Google Plus community to build relationships, yes. But ultimately you want people coming to your site. My advice is to write summaries that are a bit more in-depth than what you would write on, say, Facebook, and include hashtags, but link back to your own site, encouraging people to read on. This way, you’ll get your keywords and hashtags in the search aspect, but you’ll show your expertise and knowledge when they come back to your site, read your article, see your image, download your white paper, or whatever it is that you want people to experience on your site. As fun as it might be to hashtag something really long and really stupid, don’t. It’s not going to help you in the long run, and in this case, it’s probably not going to help you get found. While there are statistics that say using 1 or 2 hashtags on Twitter will increase your engagement, but using 3 means your engagement will drop, there are no such rules for G+ yet. However, I’d advise not to over-do it. Use 5 max, and only if they make sense and are relevant. Just because #foodporn is a really popular hashtag doesn’t mean you want to be found for it, or that you’re attracting the right audience for you. 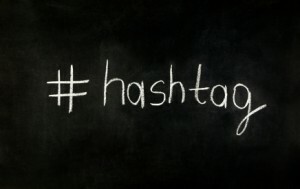 How do use hashtags on Google Plus? I tried to use a #hashtag in a post on google+, but it had no effect just wrote the plain text with the hash in front – wierd. Is it not possible to use hashtags in post on the g+ wall? Did I misunderstood something ? That’s strange. Did you add any spaces? Spaces won’t work. Strange. I just tested it and it works for me. You have to wait until the text populates. Are you doing it directly on G+ or through a 3rd party tool? That shouldn’t be an issue. Try using the # and waiting a few seconds then typing the letters slowly and see if it autopopulates. Nice info. I want some information. can you pls suggest which hashtag should i use to promote my app to get large auidence. I love the post! It gave me all the info I needed, now off to try and get some more traffic. Good G+ intro, Stephanie, although I might have to respectfully take exception to your suggestion that G+ hashtags be limited to no more than five per post. I write G+ posts that grab page one Google search results … and if I can, obviously anyone can. These G+ posts routinely have countless (let’s just say WAY! more than five) hashtagged textual elements. My advice is don’t limit hashtagged items … use SMART hashtagging … tagging common phrases, various derivatives thereof, and the individual component parts of which a phrase is comprised. G+ lets you be creative & cover all bases … so go for it. Also hashtag anyone/anything that’s relevant to the primary hashtagged item(s). And include good pics for which you’ve modified the attributes to correspond to your post’s keywords (it’s much easier than it might sound). Keep in mind too that hashtag ‘rules’ (TOS, TOU, etc.) for G+ are far more flexible & liberal than those for Facebook or Twitter. Also, re the thread between you and DENNIS re the ‘disappearing’ (or ‘non-appearing’) hashtags: always write the hashtagged post & publish it (doesn’t matter where, & it doesn’t have to be perfect … just publish it). At this point you can copy everything (including hashtagged items) from the published post … don’t open (such as ‘edit) the published post, just read it in its ‘read only’ mode … simply select & copy the entire post … if you subsequently want to write another post with identical (or similar) content, all the original hashtagging is intact … if you need to ‘repair’ a post that you’d previously copied, use precisely this same technique, create a post, & copy this in. Pretty simple, yes? Thank you Joel! I’m going to take your advice and try it out. 🙂 Thanks!!!! You’re welcome, Stephanie, and thanks for thanking me. The best thing to do is continue blogging and it will get easier to be found. Good luck! This is a wonderful piece of article you drop here, as in, I was moved to go beyond my limit in getting better social media engagement to my education blog. Tried on my site, when input “#” nothing happens, and no “Explore” tab on my google+. So strange.